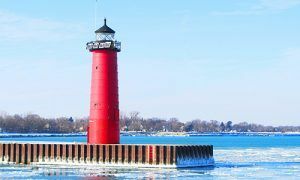 Offering Kenosha movers for a world-class cultural, commercial, and industrial city, Kenosha functions as a major regional, national center for America’s heartland. Kenosha offers many amenities, especially the arts here are top quality. All in all, it is a great city for a relocation. If you are planning on moving from or to Kenosha, you are going to need the moving services from a reliable moving company to make your moving experience smooth and seamless. You can trust Brothers Moving & Storage as your Kenosha movers. We have years of experience in moving business and client satisfaction is our top priority. We work very hard to make sure that you have the best possible moving experience. Contact us or get a free no obligation quote now! The idea of moving can be quite nerve-wracking for most individuals. Let Brothers Moving & Storage help ease some of that stress by managing the entire moving process from start to finish. From packing up your belongings and helping you set up your new home, our experienced movers will cover every phase of your move. Residential and commercial moves are our specialties. Relocating from your old property to a new one marks an important milestone in your life. The process of moving can be overwhelming, emotional, hectic, and sometimes just plain aggravating. That's why Brothers Moving & Storage is here to help. We will develop a custom moving strategy. Whether you are moving from town to town, state or country, we can help you make a smooth transition to your new home. We are an established moving company, and we are capable of making your residential moving process hassle-free and smooth. At Brothers Moving & Storage, we go the extra mile to make your relocation a success. From packing to loading and from storage to moving, we help you cover all the bases. Our attention to detail, dedication, and client satisfaction are what makes us the number one moving company in Wisconsin. If you are tasked with supervising your company’s move, you will need the services of an experienced moving company to make sure it goes off without a hitch. And that's where Brothers Moving & Storage comes in. As a professional moving company in Wisconsin, we offer reliable commercial moving service at a competitive price. At Brothers Moving & Storage, we understand that efficiency is the key when it comes to commercial moving. That’s why we take our job very seriously and work our hardest to help companies relocate as quickly and smoothly as possible. We at Brothers Moving & Storage offer all of your moving needs with a professional and caring attitude. Our movers come prepared with moving pads, floor protection and if needed packing materials to help make your move safe and stress-free. On moving day just sit back and relax while your local moving company Brothers Moving & Storage gets your move done with all the care as if you were moving across the country. Kenosha Movers who are happy to go that extra mile for you. Call us today for a free no obligation moving quote and feel the stress just go away. Call us at (414) 815-6683 or click here for a quick moving quote. 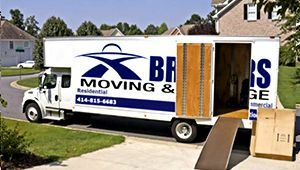 Brothers Moving and Storage has been providing great customer service along with quality moving services to anywhere in Kenosha and the surrounding areas. If you are interested in a free moving estimate, please contact us at (414) 815-6683. Fun Fact: Well known and accomplished producer, writer and director Orson Welles was born in Kenosha. Kenosha Movers	Overall rating:	4.8	out of 5 based on 20	reviews.